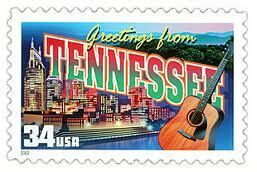 Nashville is the capital city of Tennessee, and this state is home to almost 6 million people. The number of residents in the state affected by substance abuse is extensive. On a daily basis in Tennessee around 75 residents will be arrested for a DUI offense and approximately 100 residents will be arrested for some type of drug offense. In the state an estimated 5 individuals will die each day from alcohol use and related factors, and an average of 1 individual will pass away from a drug related overdose. Prisons in the state hold more than 25,000 individuals, and the state probation departments supervise more than 47,000 residents in Tennessee. The national average crime rate for a state is significantly lower than the crime rate in Tennessee, which has a rate 25% more than the average for the nation. The percentage of property crimes is also lower than the average, with 85% of all the crimes committed involving property compared to some states which have a rate of 90% or higher. Drugs and alcohol are widely available across Tennessee, and these factors affect all ages, income levels, and communities in the state. The biggest threat identified by law enforcement is crack cocaine, although the powder form is also available in many areas of Tennessee. What makes crack cocaine so devastating is the inexpensive cost and the high addiction potential that the drug poses. Another drug that is affecting Tennessee is methamphetamine. The use of methamphetamine and the manufacture of this drug has skyrocketed, causing a high demand in many cities. Most of the methamphetamine in the state is smuggled in but there are clandestine methamphetamine labs in operation which provide a small amount of the drug on a regular basis. Heroin and prescription opiate abuse is becoming a big problem, and some users will replace the preferred drug with another in the same class. Oxycontin and methadone are popular, and are often used as well as heroin when one is in short supply and the other drug can be accessed. The most popular drug in Tennessee is marijuana. Possession of marijuana in any amount is a misdemeanor and can mean up to 1 year in jail as well as a fine up to $2,500. Any misdemeanor conviction carries a mandatory fine of $250 for a 1st offense, $500 for a 2nd offense, and $1,00o for further offenses. Any cultivation or sale of marijuana is a felony in Tennessee and can mean from 1-60 years in prison as well as a fine of up to $500,000. Any felony conviction carries a mandatory minimum fine, and the amount is set by the offense number so a 2nd offense has a higher mandatory fine than a 1st offense does.